Hey everybody, I hope you're having a great day! I am having an artful day in my workroom, creating shaped cards with my newest die and stamp sets...this set is called Tree of Life. 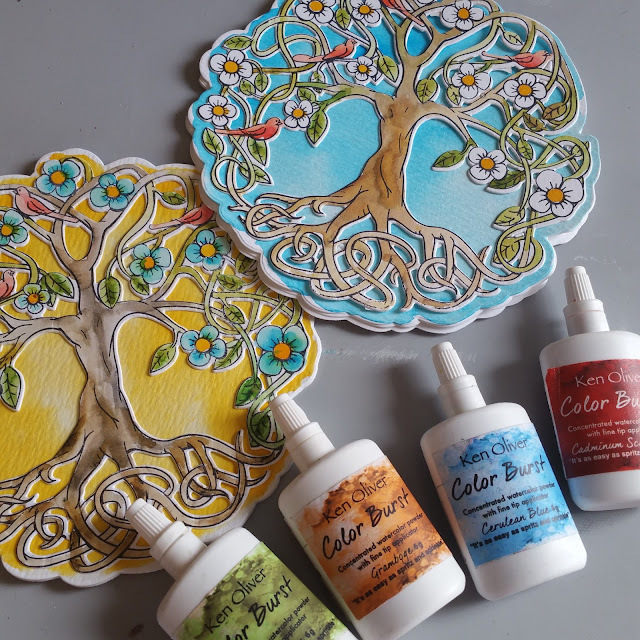 You can use the stamp and coordinating dies for lots of projects ranging from cards to mixed media art. These sets are beautiful and intricately detailed. I designed them especially for coloring. 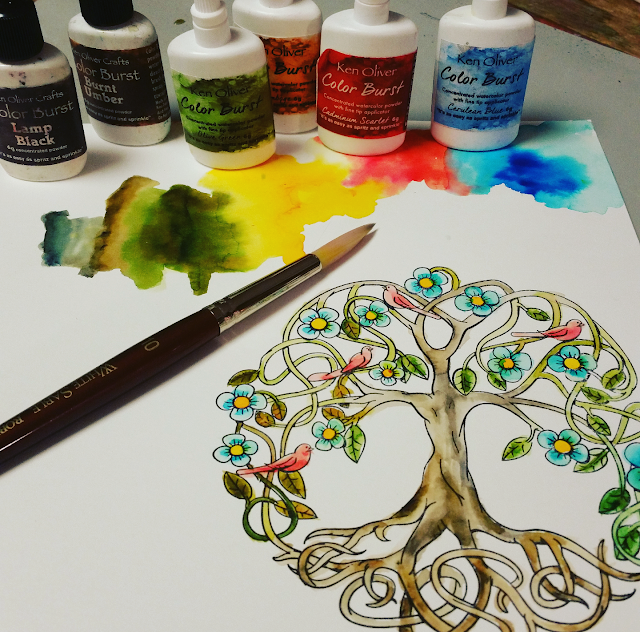 You can color with Color Burst, watercolors, or your favorite markers. 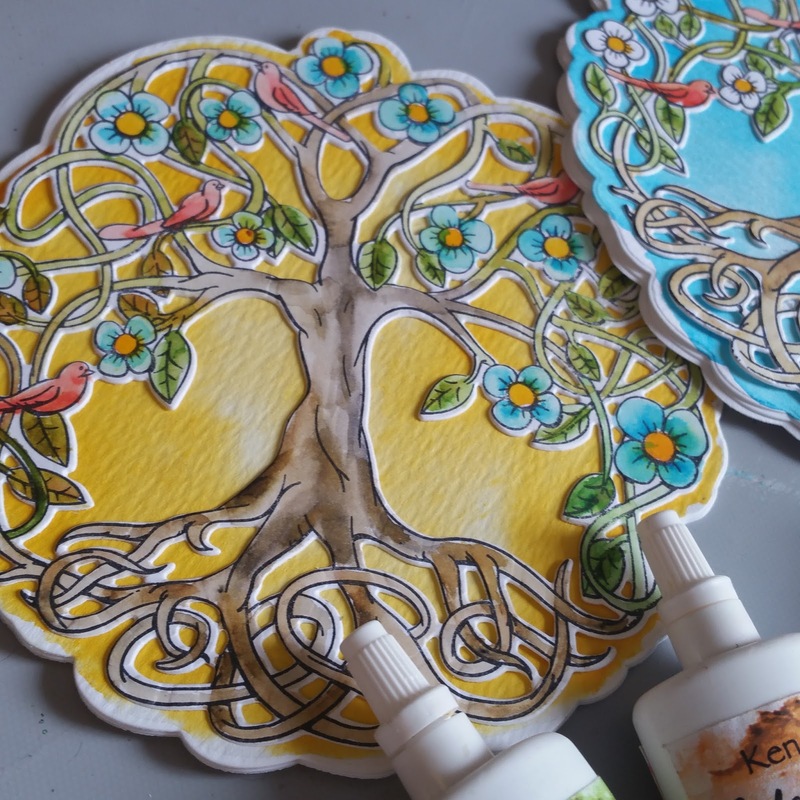 To get started, I stamped the Tree of Life image on my Water Media Paper from Canvas Corp. with Archival Ink. 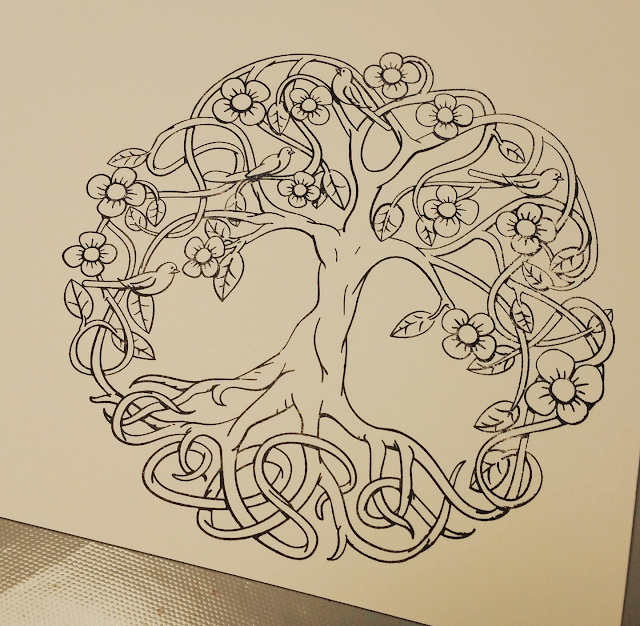 You'll want to use a permanent ink that it waterproof and won't run when you color over it. 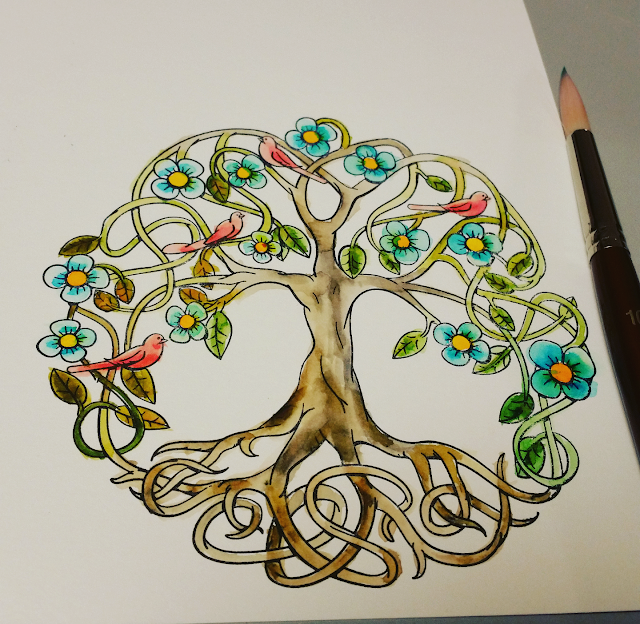 Then, I colored using my newest Color Burst colors, Rich Moroccan Shades. 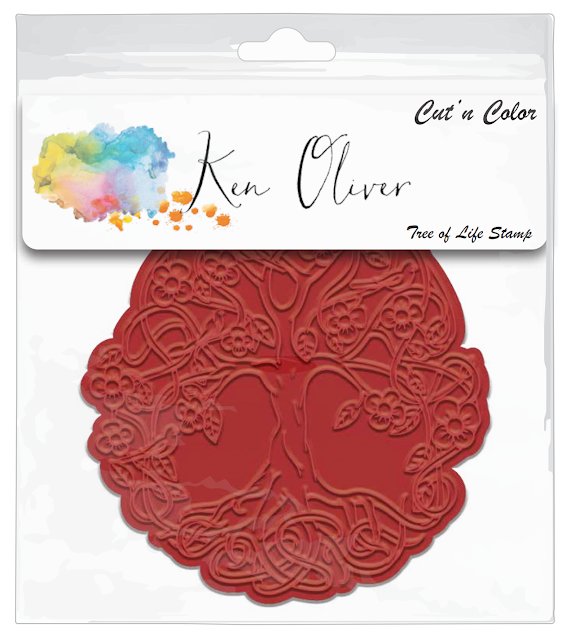 The color palette is beautiful and includes Cadmium Scarlet, Cerulean Blue, Gamboge, Olive Green, Burnt Umber and Lamp Black. And, I colored with a watercolor brush and water. 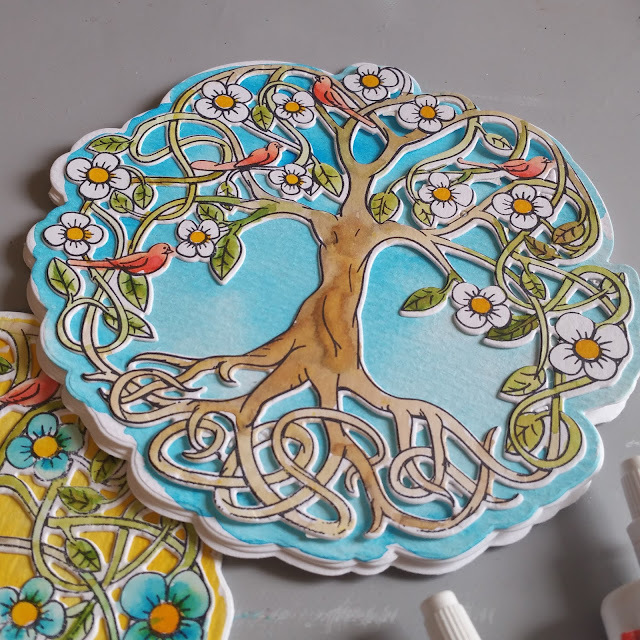 When I'd finished coloring, I cut a shaped card from my Water Media Paper and cut out the colored image with the die set. Before I cut the die, I applied Stick It adhesive to the back side of the Water Media Paper...it really makes gluing intricate die cuts very easy. I made a couple examples for you to see...one with a background of Cerulean Blue, and one with a background of Gamboge. 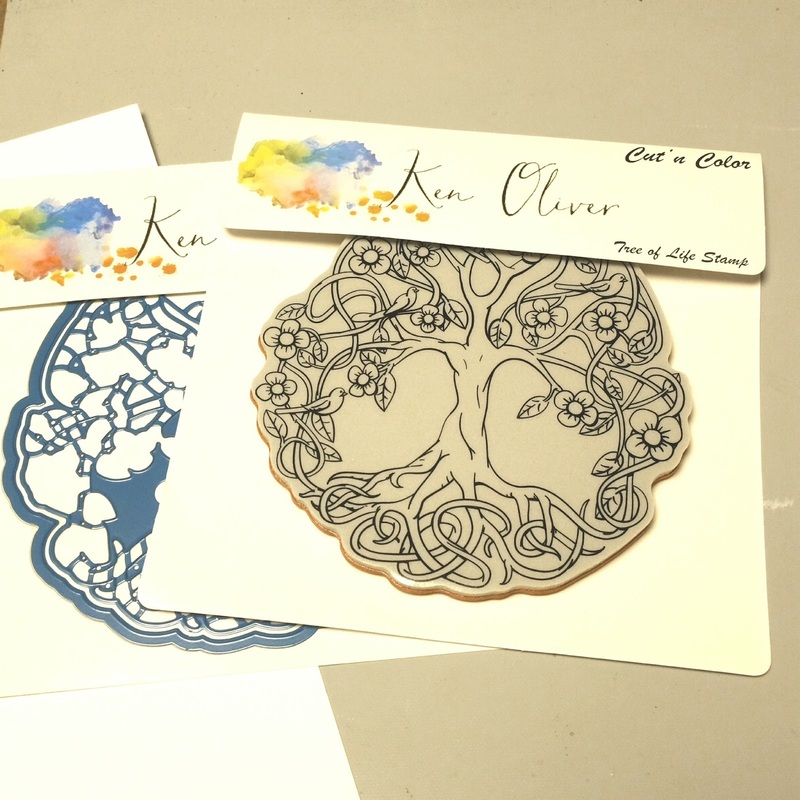 If you'd like to see how I made these cards, please watch this Facebook Live broadcast from my Facebook page Ken Oliver Crafts. And, make sure to LIKE my page. The stamps and dies are brand new and will ship next week, so make sure to ask your local retailer to pre-order them for you. 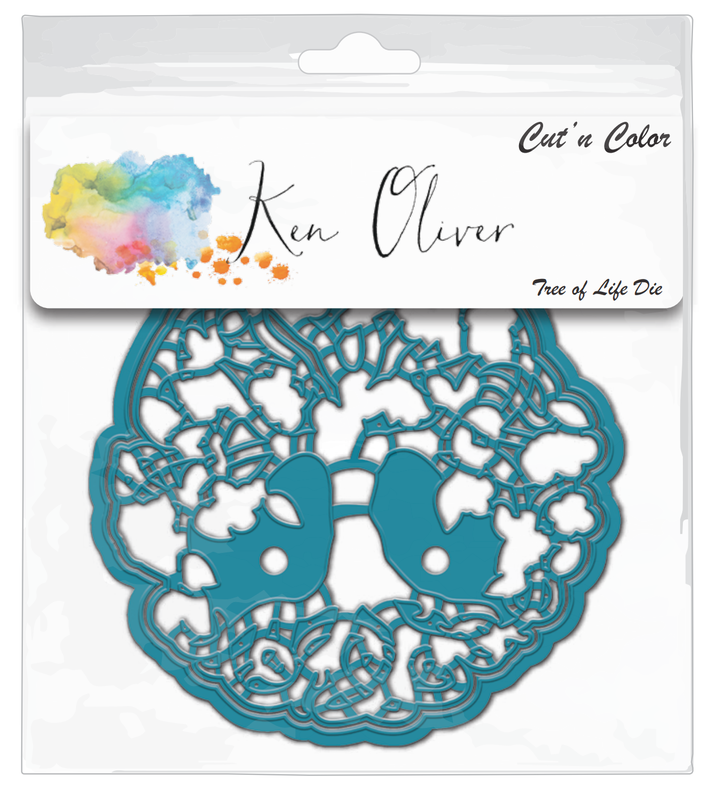 You will love coloring and cutting these dies! Thank you for stopping by today! I hope you have a wonderfully crafty day! These look amazing. I know a few people who love getting crafty and make stamps like these. I will definitely share this post with them. That's very beautiful. You have a real talent! I created a site with the top writing services, I hope you will also appreciate my work. Pretty products for special occasions stamps.